No matter how talented a trader you are, no employer is going to offer you a job in blind faith. You have to write a stocker resume to not only apply for the job but also to prove that you have what it takes to move a stock trading company forward. To get started with Resume samples, especially if resume writing is not your forte, you should consider looking at sample stocker resumes getting a clear idea of what the best stocker resume looks like. The best way to write your resume quickly and in the shortest time possible is to use this best resume template. The template is not only free resume to download but also easy to customize. 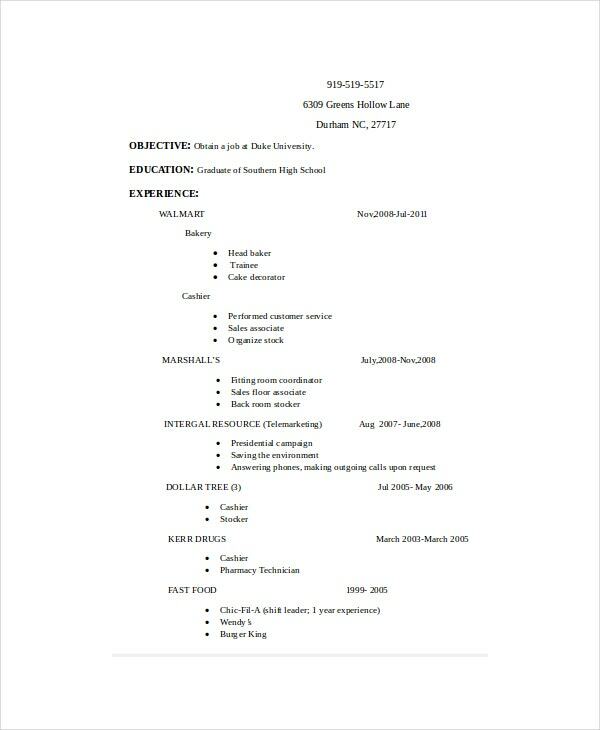 If you are too much into grocery, you can find this template quite useful for writing a stocker resume. 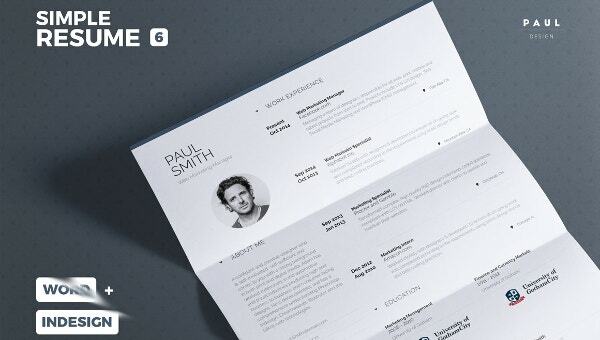 Besides being free to download, the simple resume template is easy to edit and customize. Because this template is already available to download, there is no need to spend time creating a new template from scratch. You can use the resume examples as a guide for writing your personal job-hunting document. If you’ve come across an associate stocker position that interests you and you would like to apply for the job, you can use this template as a comprehensive guide for writing a great resume. Want to express your interest in a retail assistant stock job but don’t know how to get started with resume writing? 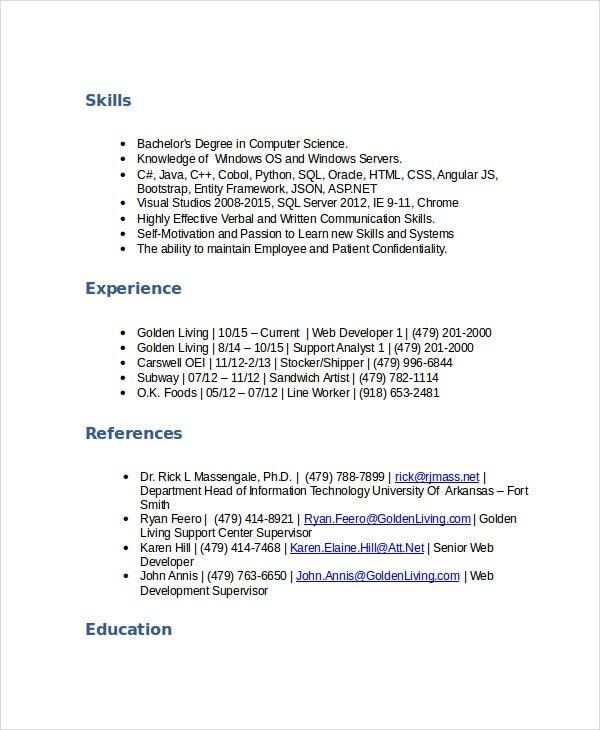 You can use this sample resume template for help. 1. 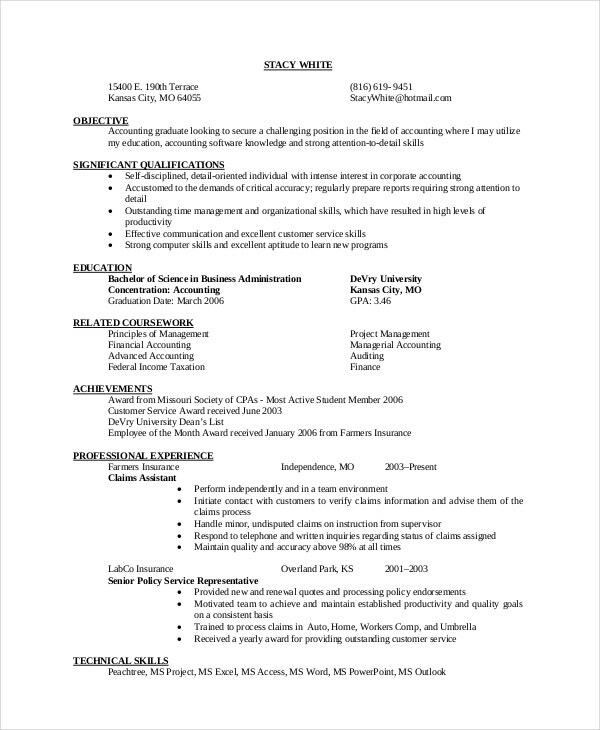 What to Include in a Stocker Resume? Many people write stocker resumes but the documents will never be similar. That means that although every sample resume has four significant parts, the content of the document will depend on your school, career goals, years of experience, and skills. Overall, this resume must have four sections: resume summary, education summary, work experience, and industrial skills. You may also see Executive Resume Template. You need to give equal attention to each part of the resume. That means that a resume summary is as important as the education section. Moreover, the work experience section, whether written in a functional format or the chronological umbrella, is as significant as the part where you write your technical skills. It is important to choose an appropriate format for outlining your industry expertise and experiences. Usually, you have only two important choices: the functional umbrella and the chronological order. The functional model is often the most likely used format for resume writing, for it enables the author to keep the content of the document lean and focused. In addition to demanding less input, the functional umbrella can cover many faulty gaps in your career history, and as such, it is the best format to use. A chronological format is a great option, too, except you use the style if you are sure that you have a clear, industry-focused timeline.You may also see Cashier Resume Template. People love speaking and writing passive sentences, and although this is just fine, you shouldn’t be writing your resume in passive sentences. Of course, such sentences often read odd which is exactly the reason why you shouldn’t be using them at all. Writing long sentences is another common mistake many resume writers make. It is important to keep your words short, and the best way to do that is to write in fragments – fragments are incomplete sentences that make sense on their own. You may also see Supervisor Resume Templates. When writing your career objective, if you should, make it as interesting as possible. Usually, this would fall in the resume summary section, so make sure you write it in a way that grabs the attention of the potential employer. Writing the resume is, of course, easy now that you have the best resume templates to help you write the best resume for job-hunting. There are many more templates on this platform and they can give you the perfect idea of what a good resume should look like. Each template is free to download.